As part of Rachael Harrie’s Platform-Building Campaign, I’m posting ten random things about myself. 1. Maggie Smith is my favorite actress. 2. I’ve taken lessons in classical voice and bellydancing. 3. I like cold, wet weather. 4. I’ve been driving since I was ten years old. 5. I’ve never seen Fantasia. 7. 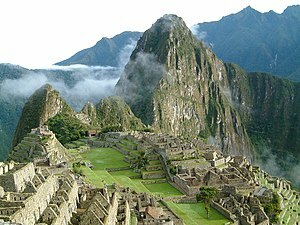 I want to visit Machu Picchu. 8. I own a 1942 weapons carrier. 9. I would rather have watermelon than chocolate. 10. I would like to live in England. The first Campaign challenge has been announced: flash fiction, 200-word maximum. I want to visit Machu Picchu too. You are driving since 10 years old wow, I’m impressed! I would love to read more about your belly dancing lessons and your voice lessons. I hate cold and wet weather. I’m looking forward to your first fiction under your new challenge. There were some surprises here! Good post! Watermelon, not chocolate huh?! Hurrah! Come and live in England! 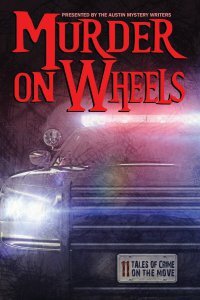 Hi Kathy, I’m a fellow Campaigner (mystery/suspense) dropping by to say hello. Love your list. Nice to meet you! Love this. Classical voice and belly dancing. Wow. How fun. I’m looking forward to finding out more during the campaign! A few of my travel friends and I were talking about Machu Pichu yesterday — we all want to go. So I can relate. Hmmm, someone who’d pick watermelon over chocolate and wants to live in England. Pretty darn cool, if you ask me. Now, what’s a 1942 weapons carrier and where do you keep it?